This weekend here in North Dakota we have a predicted windchill of -60. Yes… -60, you did read that right. That is absolutely insane. On days like this all I want to do is curl up with my family, and cook something warm. 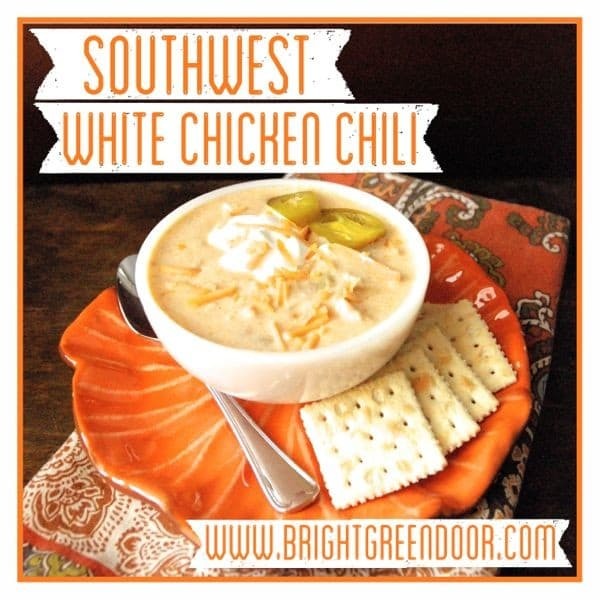 This Southwest White Chicken Chili is probably my favorite “cold weather” recipe. Saute onions in oil, add garlic, green chilies, and spices. Set Aside. Boil diced chicken with 2 t. chicken stock base until cooked. Drain and set aside. Simmer beans, broth, water, and additional stock base for 2 hrs. Add chicken and green chili mixture and simmer 30 minutes. 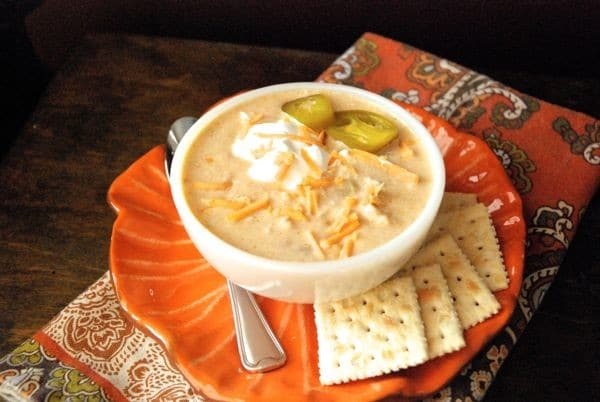 Add cheese and sour cream and mix until melted. 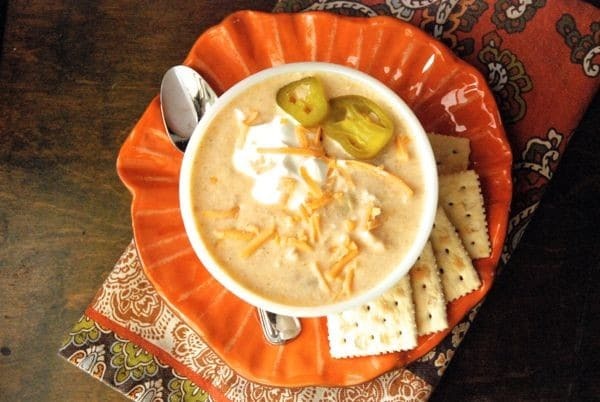 Garnish with jalapeños, green onions, tomatoes, or sour cream. In order to reduce dishes I like to do it in this order and make it all in 1 large pan. I also typically double this recipe and plan on feeding our family dinner, filling 1 container for leftovers in the fridge, and 2 freezer bags for additional dinners. Doubled this recipe will feed a lot! « Five on Friday- Tv in the Bedroom and Clutter! Sounds yummy! 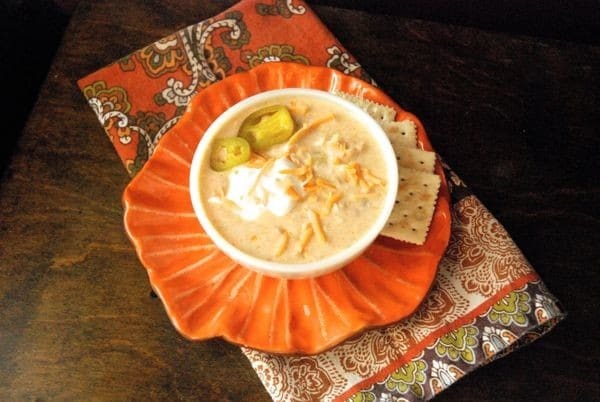 I often substitute nonfat plain greek yogurt instead of sour cream. 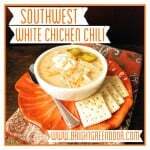 Would that substitution work for this recipe? I haven’t tried it, but I think it would work fine to substitute plain greek yogurt. I’ve done that substitution for my hash brown casserole and it turned out great. Let me know if you try it!